Lecretia passed away this morning at 12:35am from natural causes. I am unable to express my feelings right now. A few weeks ago, Sir Geoffrey Palmer, 33rd Prime Minister of New Zealand and legendary law reformer, sent me this tribute he wrote for Lecretia. I had been saving it for the right time. This might be it. I have known Lecretia for many years from the time she first came to work at Chen & Palmer after working as a lawyer in the UK. She was by then a seasoned lawyer having cut her teeth at Kensington Swan before taking her OE. I am not an easy person to work with, as I am impatient and demanding. I soon found that Lecretia was incredibly industrious and not to put to fine a point on it, a workaholic. I found her easy to work with and I came to trust her accuracy, her judgment, and her discretion. She is my kind of public lawyer. Later when I went to the Law Commission she applied for a job there and was top of the field and selected. She made a wonderful contribution at the Commission and worked directly to me on several important projects including alcohol and war pensions both of which reached the statute books. Her terrier like qualities in running down the meaning of words in old statutes was awe inspiring. I recall particularly her work on section 17 of the War Pensions Act 1954. I did not believe it was possible to say what that provision meant, but after three weeks Lecretia figured it out. All the administrative law work on the alcohol project was hers. Lecretia became not only my professional colleague but also my friend. I recall Matt and Lecretia visited us in Nelson and said they were going to get married. What a wonderful couple. A little much wine was drunk that night. Lecretia is an incredibly private person. She never sought the spotlight. And she is extraordinarily taciturn. But deep down there is a person of great compassion, empathy and judgment. Lecretia has got to be one of finest human beings I have ever met. When her sickness struck she bore it with a fortitude and steadfastness that was amazing. 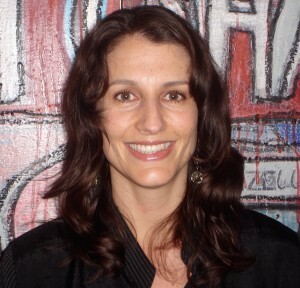 Her idea to turn her experience into a law reform project was typical of her. What a brilliant idea. She always thinks of others first. She never complains. I salute her. There are no words to offer at a time like this that can make any difference to how you feel. Ave to a woman who was loved as every woman wishes to be, and may she truly rest in peace. I hope you Matt, find solace in knowing that you held her safe, and that she was never alone, and that she knew so well the fierceness of your love for her. Thank you for sharing your incredible story with us, and being brave enough to face this situation while fighting for others who may find their way there as well. Tear are streaming down my face. I salute you both. Dear Matt and Lecretia family, Sad news to wake to this morning, I did not know this amazing lady but felt she was my friend. Incredibly sad loss for you all. Heaven now has another beautiful Angel to look down on you all and keep you safe. Love and Light. Sleep well little one. Matt I’m so sorry to hear that Lecretia has passed. I never met her but your journey has really moved me. What an inspiring and gutsy woman. My thoughts are with you. Thinking of Lecretia’s family and loved ones from London. How incredibly brave to share your story at this most indescribably difficult of times. Sorry for your loss doesn’t begin to capture what a real loss this is not just for New Zealand, but for the world. Matt, my heart goes out to you and the family. It is so tough for you right now, but know for sure that Lecretia’s life of achievement, determination, love and courage will be remembered. I’m so sorry. Thinking of you all, and thanks to Lecretia for spending her last months fighting for our rights. May she rest in well-deserved peace. What a superb lady, may she rest in peace and I hope Lucretias’ Law is reformed. All empathy extended to you and your family Matt. She is now at rest and showed us all what courage is about. Matt, I’m so sad for your loss. My heartfelt sympathies to you and the family. Thanks for sharing with us your stories. Lucretia will be remembered fondly. Matt – just so sorry. May you be comforted by the love and support of many friends in the days ahead. Hang in there Matt, am with the team at XeroCon and we’re all thinking of you and send out love. Not right. So sorry to hear the news. I’m so sad to read this. Thank you for allowing us to be part of this and sharing Lecretia’s story. Peace and love to you both. What a beautiful tribute for an awesome lady. Our thoughts are with you and your families in this difficult but as you know she fought till the end so she could peacefully rest. Arohamai Matt and Kia Kaha(be strong). Dear Matt family and friends.Thank you for sharing Lecretia with us and letting us know what an amazing, inspiring woman she is (there are no suitable adjectives to explain a woman with such a powerful inner strength as Lecretia) I know this will be a hard time for you all and I am one of thousands sending you love to help you get through this terrible pain. Lecretia touched my heart and no matter what happens today the conversation about life and death is truly open and we can thank Lecretia for that. My family and I will always hold beautiful memories or Lecretia. We knew her as a young teenager so gifted and so unassuming. Our thoughts are all with you and her family Matt. Dear Matt and all lecretias family!!! My deepest sympathies. She touched everyone’s hearts. Such sad news !! There are no words to describe the loss of such a talented, beautiful and inspiring woman as Lecretia was. There is no doubt she will leave a lasting legacy; it is just the unfairness of having such an amazing life cut short that is so inutterably hard to fathom. What an incredible joy and privilege to have shared her life – and how incredibly sad it should have been for so short a time. Our thoughts are very much with you. We are deeply saddened at your and the Seales family great loss. My friend Laura who has had brain cancer in remission, followed Lecreatia’s story with interest and we were both shocked at the sudden passing of such a brave,talented and beautiful human being. We hope that her brave fight will be rewarded by having her wish of voluntary euthanasia recognised by the law. Kia kaha and much aroha to you. Thinking of you all ‘family’ at this sad time…. oh words have failed me, I am so sorry to hear…..
May strength be your friend at this sad time. Matt and all the family, your an inspiration and role model to the whole of the world. When the going gets tough, strong loving family’s get through together. What a stoic woman whose courage as she battled was a lesson to us all. I am so, so sorry to hear of Lecretia’s passing. To you all who loved, cared for and supported her; my deepest sympathy. The lump in my throat speaks nothing of the pain and sorrow you will be feeling, but volumes of the way she touched the nation with her determination and fight. I’m deeply saddened by this news. My warmest thoughts are with you. Dear Matt, Shirley & Larry, I was only 4-5 when Lecretia was born. I remember seeing her at the soccer grounds when we watched my brother Gary play in the same team as Larry. Our families have known each other a long time and although close associations were lost I was extremely saddened to find out Lecretia was so ill. I was equally impressed to find out what a fantastic woman she grew up to become. I hope her passing makes a difference to others in similar situations, a ruling is made in favor of assisted “suicide” and they call it “Lecretias Law”. To Matt and the Seales family Tga. My sincere condolences to you all. So sad to hear of Lecrectias passing, although I didn’t know her what an inspirational, strong, women. No more pain or suffering. Thankyou for sharing her and your story with us all. She will not be forgotten. I am so sorry for your loss. Such a cruel disease. Kia kaha. RIP Lecretia. A truly inspiring woman. Matt my dear soul and spirit friend. Words cannot begin to describe the depth of how I only wish there was something, some small expression I could make to assuage your grief or the reach into the depths of what you must feel and extend a hand or a hug. I hope you know how amazing and loved you both are – and ALWAYS will be in any PLACE and in any TIME. Lucretia, thankyou for bringing your situation so public and may your fight go on. My beautiful wife is 4 years down the same track and we cherish our time together. We didn’t know you or your tower of strength husband but you will be in our hearts. Go well. Truly a remarkable and gutsy woman, rest in peace young lady, my condolences goes out to you Matt and Lecrectias family, memories are your greatest assets. Matt I’m sorry. My thoughts are with you and your family. I’ll light a candle for Lecretia tomorrow, may she rest in peace. I don’t know why but I never believed this day would come. Matt, thank you for putting so much time into sharing yours and Lecretia’s journey with us all. I’ve never felt disconnected from Lecretia even though I left wellington 10 years ago. My heart goes out to you and Lecretia’s family. And I will try to take comfort in the knowledge that she can now rest well. Sending you love and strength through my tears this morning. No words can express nor take away any of the pain you and your friends and family will be feeling..
My deepest love and compassion go out to you all. I pray that God will comfort you all while you grieve the loss this amazing Lady. I am sure that you all know that she is in a better place and will see her again one day. I am so impressed what a loving and supportive family you are! My deepest love to you all. Condolences to all Lecretias family and friends. Such a big loss to you all. We wish you all the love and support you will need to get you through this sad time, big hugs to you all, stay strong…..even when it hurts. So saddened to wake to the new of Lecretias passing. She captured the country’s hearts & got us talking about life & death & the hard decisions that need to be made. I pray for a good outcome this afternoon but for now sending condolences to Matt & family & thank you for sharing your journey. 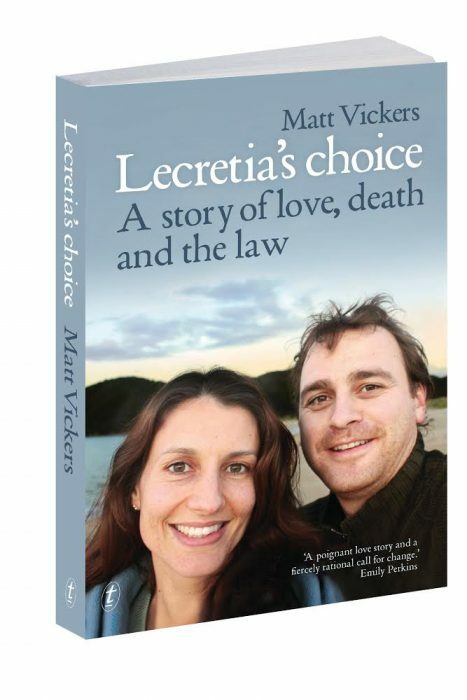 To Matt: We all got to know the beautiful Lecretia through her courageous battle to give others the right to die with dignity and without suffering. Her campaign has given others hope that one day they will have that option, sooner rather than later. Across the country, thousands of us mourn with you in your loss. Awe inspiring, life affirming and a privilege to have known of your journeys. With one journey now ended, your own begins a new chapter. All thoughts and prayers to you and yours, and much gratitude for allowing ‘us’ to know a little of your courageous and gifted wife. Although I didn’t know Lecretia peronally I salute a courageous woman who even when so ill was prepared to use the time left to her to advocate for changes that will benefit many others. Loving thoughts to her family at this incredibly sad time. Be assured her legacy will live on. Very sad to hear about Lecretia. Our thoughts especially go to Larry and Shirley and family. Thinking of you! May the support of family and friends get you through this sad time. Rest in peace Lecretia. Deepest sympathies to you…but im sure lecretia couldnt of asked for a better passing, to go naturally and i hope peacefully….as a carer i was right behind her….with her fight for the right to choose…and that was the essence of it..the right to have the choice…..not nessecery to act on it, but the choice ,…lecretia has in her wisdom left the world with the question,forever in peoples minds…..is it our right to be able to choose,when the pain of a terminable illness becomes unbearable ,to end the suffering in diginty…once again deepest sympathies for your loss…her memory will live on. Thinking of u all at this sad time. What a fighter, an inspirational woman Lecretia was. Although I have never met her, I have followed her final journey and admire her courage and strength to fight for something that would give terminally ill people dignity. I hope Lecretia’s choice is still carried on. RIP Lecretia. I have followed Lecretias story and wish to say thank you for sharing a very personal story to shine the light for others to follow. She has found peace and will warm your heart forever. My thoughts are with Lucretia, Matt, family and friends at this time. What a brave and beautiful woman she was. I sincerely hope this law reformation is successful, what a fantastic tribute to her life this would be. Oh Matt, I am so sad hearing the news this morning and know your pain would be so much worse. I can only hope that you will find comfort in having known such an amazing woman to share your life with. We have all been inspired by her courage. May love and peace surround you and Lucretia’s family…you are not alone. Our thoughts and prayers to all her family an amazing strong women. What a wonderful tribute from Sir Geoffrey Palmer….no more than Lecretia deserves of course. My heartfelt sympathy goes to Matt and the rest of Lecretia’s Family. It is so gratifying to know that Lecretia did not suffer when she died. As someone who lost their Son tragically, I well know the passage of grief, and I wish you all comfort and love in your journey. Judy Meek. Arohanui to you all at this time of sadness and yet relief. Thank you Lecretia and Matt for allowing us to share in this journey – your strength has made us stronger and wiser. New Zealand weeps with you Matt. Wishing you time and space to rest your broad shoulders and breathe and remember. Lecretias fight will not lose momentum and will go on, rest assured of that. So much love coming to you Matt, and all the family at this time. Words cannot express. As Lecretia fought the good fight well – so have you. Just as Lecretia has rest now – wishing the same for you. I have no words just tears from my soul. May Lecretia be happy and free and in wait for her loved ones when their turn to leave this comes. Hugs to all friends and family. Only goodness can come from this. The greatest sacrifice so others may not have to suffer. Dear Matt – I have been incredibly touched by Lucretia and what she fought for and so saddened by this news. Sir Geoffrey Palmer’s tribute says so much. My heart goes out to you and and yours. Aroha. What a difference you have made Lecretia! You are a true inspiration and a strong person who made the most of every opportunity. I never met you but may you inspire each person to seize the now, the day and take each moment with their family as a true blessing. so very sad to read of her passing, my heartfelt condolences to her husband and family. To Matt and family and friends, our deepest sympathy on the loss of your beautiful Lecretia. Lecretia was an amazing woman, strong, determined and we hope Lucretia’s Law is reformed. Thank you for sharing her story with all of us.Our love and thoughts are with you all. Rest in peace Lucretia. I have tears for a lady I did not know but I wish I had met, what an amazing lady with a husband that has lost his soul mate. You are both such special people and have endured a very hard time. You have both made a difference! I’m so sad this morning for a young woman I never met but especially for her family. I have felt I got to know you all through my daughter, Rachel. My heart goes out to you as you prepare to say your final farewells to a remarkable young woman. To Matt and family, deepest sympathy on the passing of Lecretia. She is a truly amazing, determined and much loved woman. RIP Lecretia – Heaven has another beautiful angel. Our thoughts and love are with you all. Such a true inspiration,life can be very unfair. Much love to her family and friends at this sad time. My deepest sympathies to you and your family Matt. Thinking of you and your family Matt. I’m sorry I never got to meet Lecretia but am so happy to know that you will carry her with you and I hope to be regaled with stories of her incredibleness sooner rather than later. Sending you and yours all the love I can. My deepest condolences and thoughts are with you and the family Matt. Lecretia’s legacy will be, amongst all the other things she achieved in her life, to provoke Parliament into action over this matter of law and compassion. Her efforts will bear fruit. Thank you all. Dear Matt, family, friends, and all those who loved and cared for Lecretia. I have only just heard the sad news. My heart breaks with you and for you. What a mighty hole you will all have to fill. RIP Lecretia. Gone far too soon. RIP beautiful girl your pain has now gone. Your fight will go on for Dying with Dignity and it one day will be won. Prayers and thoughts to your loved ones. What a wonderful tribute for Lecretia. You will treasure those words for a long time. NZ thoughts and prayers will be with you and your extended families. There is not a heart this story has not tugged with. I wish you a peaceful time to grieve. Grief is the price we pay for love, and by all accounts you and she were very close. In the days and weeks to come, you will find many who agree with Lecretia’s stance, and a few who vociferously don’t, and may resort to ad-hominems to express their views. Try to ignore them, they are blinded by their conditioning, and spouting what they’ve been told to think. Lecretia’s legacy looks to be happening already, with increasing discussion of legalities of those difficult choices. May it continue, to honour her and those who have walked this path before her. Lecretia has inspired such admiration and respect in her life and in this recent fight for her choice. Her public spirit is a shining example. I’m so sorry for your loss. My thoughts go out to all of Lucretia’s family and friends. I know she is no longer suffering and you all know this but I also know the loss is painful. I also want to say how much I have admired Lucretia in her fight for the right to die in her own way. I can only hope that her struggle will bring the change necessary to allow others to have the ability to make their own choices. My deepest condolences for the family, friends and Matt. I am sure Lecretia’s spirit will live on. RIP Lecretia. To all your friends & family my heart goes out to you. I never met this wonderful woman but have followed her on fb & I thank all for allowing us to do that. I also applaud your fight. I watched my mum die in terrible pain because there is no law allowing doctors to help terminally ill people. I hope for all that have faught for this law to be changed it will happen one day. May you be surrounded by love, I can’t even think of the right words. Sincere sympathy to a courageous family. Bless. We are so sorry to hear of Lecretia’s passing you, were both inspirational people and her strength and legacy will continue on. We are so sorry to hear of Lecretia’s passing. You were so lucky to have found each other. Our thoughts are with you. So sad and sorry to hear of the loss of your beautiful Lecretia. Blessings to you and your whanau and also to her whanau. Such a lovely tribute to her from a great man who appreciated the work she did and the beautiful person that she was. May she rest in loving peace for eternity ……..
Lecretias living will not be in vain.Rest In Peace .you have done a wonderful job ….ROZ Taylor….. Deepest sympathy to you and your family. My heart breaks for you and your family. Kai kaha at this sad time. Such sad news. What an incredible woman by all accounts, greatly loved by a strong family and friends. That we should all be so lucky to have such strength and support in our last days. May she rest in peace. God bless this beautiful woman. I never met her but I grew up in TGA and I remember as a teenager I had several high school buddies who had big crushes on this beautiful girl with the funny sounding name. And so when I heard Lecretia’s name in the news, I followed her story with great interest. Rest easy beautiful lady. I never knew you but your legacy will reach far and wide. BIG BIG HUGS. Please let me know your postal address so I can send a card. Thank you. Dear Matt – my heartfelt thoughts are with you at this incredibly sad time. You have both been so incredibly brave. Lecretia was clearly a talented, highly intelligent and courageous person -she will not only be a huge loss to you Matt but also to this world we live in. I never met this brave Lady but she has left an indelible mark on my heart because of what she was trying to achieve. Deepest sympathy to her family and friends. Particularly to her husband. Lost my hubby to cancer. Diagnosed at 43 and passed away at 49. Dear Matt and all Lucretia’s family. What an inspiration for us all. My sincere condolences to you all. What an inspirational woman she was. Her stand to give herself and possibly others that basic human right to choose for ourselves is outstanding. It is something I have debated many times in my life. She will never be forgotten. Love to you and your families at this very difficult time. Big love bro, that’s all I have for you. So so sorry for your loss of your precious Daughter, our thoughts are with you at this time. I don’t know you, but wow have the pair of you touched me and my life. I am grateful for her courage, and in awe of your love, Matt. You both make the world a better place. Take care of yourself, you have done an amazing job. What a truly amazing couple you have been Matt. I cannot imagine what you have been through. You have both been inspirational to myself and countless others. Just incredible people. I will be thinking of you. Lecretia, “When thou sigh’st, thou sigh’st not wind, but sigh’st my soul away. So sad to hear this news – rest in peace Lecretia. Matt, I just want you to know that your amazing wife’s brave struggle and the support you have given her, including this blog, provide a profound legacy. My partner and I are going through a difficult patch and restless I woke in the very early hours of the morning and found myself here on this blog for the first time and read it all. I guess I was drawn in by the life-affirming love and determination so apparent in Lecretia’s and your story and the scale of the challenge helped put things in perspective. Then as dawn broke I opened Stuff and was stunned to read the breaking story of Lecretia’s passing. I’m not much of one for signs or fate but I do want you to hopefully find some comfort in these dark hours to know that Lecretia’s care, compassion and determination live on in her legacy – even for those of us who have never had the great fortune to know her. I wish you and Lecretia’s family and friends comfort and strength. Many God be with her! Going peace! I am humbled by her intelligence and strength. I wish I could take up the battle on her behalf as I so agree with her standpoint. May the universe help you heal your heart. So sad for you, Matt. I’ll be thinking of you in the days, weeks and months to come. It’s so terribly sad Lecretia’s life was shortened by such an awful illness. I’ll always remember Lecretia as the lovely, cheerful, friendly young girl I knew through our years together at Tauranga Girls’ College. It was clear then that Lecretia would go far and from reading of her accomplishments in her adult life she certainly did. Thinking of Lecretia’s loved ones at this most difficult time. It’s a shock to hear! Matt you took care of such an amazing lady! Her story and her life has touched so many people! She is someone we won’t forget!! She was a very brave woman as are all those, family, friends, and legal team who fought with her all the way through her heartbreaking illness. You all deserve the respect of our nation. You certainly have mine. Dear Matt, I can’t begin to imagine how you must have felt on Tuesday having to give Lecretia the bad news – never mind how you must feel now. I hope the work Lecretia started is incredibly important and must continue. I know some people regard it as opening a can of worms but it is a can which needed opening. The judge has thrown down the gauntlet to parliament and parliament should not ignore it. It would have been much better if the Euthenasia Free NZ people had listened to what Lecretia had said. They shouldn’t have mentioned her not having a long, painful death she had feared. She clearly feared a death aftera period of total dependency and a loss of speech etc which is what has happened. Palliative care can control a great deal of pain but sufficient analgesia can result in an induced coma – just the sort of thing that Lecretia did not want. When assisted death becomes legal, which it should, I as a nurse would help people in cases like Lecretia’s. My hopes were for Lecretia to win her court case. I was completely blown away by her inner strength and her almighty courage. She spoke with the passion of her convictions. My sincerest condolences to Lecretia’s family at this very sad time. Thinking of your family at this sad time. I believe in what Lecretia was fight for and I believe we need to keep discussing this issue. I am another kiwi unknown to yourself and your stunningly beautiful Lecretia.i dont know much about law/politics or the health system, but my knowledge has increased a little following your fight for Lecretias choice.im just a farm worker so my words arnt fancy.I have shed a few tears for you guys lately but today no tears…Lecretia is at peace now…no more battling.What a power house your lovely Lecretia was and how lucky you both were to have such good mates in each other. I wish you and your whanau well Matt and hope you guys get to to rest a little now youselves. Dear Matt and family,I am so sorry to hear of Lecretia’s passing,i didn’t know her but have been following your story,no words can describe how you must be feeling,i felt after reading your story I got to know her a little. What an amazing beautiful woman she was,you both sound like you shared an amazing life together. Matt. No on can say anything to dull your pain, nor should they, but I hope you can feel the love from people around the world who are thinking of Lecretia, yourself, and your family at this time. You are a husband and wife team with a beautiful legacy which has inspired millions – it will continue to do so. You have my deepest, and most heartfelt sympathies, bundled together with a hug I wish I could give you in person. Stay strong, keep fighting the good fight. I salute you Lecretia and much aroha to your family. You are an inspiration and I support the right to have this choice. I was very sad to wake and hear the news that Lecretia had passed away over night. I didn’t know either of you but have been following the posts the last few days and praying for you all. My thoughts are with you at this very sad time. What a team. Nothing but impressed by your joint courage, vulnerability, intelligence and bond. An incredibily tough and unfair journey that has been shared so intimately with us all. Shirley and Larry, you had a brilliant daughter and have a very special son in law. Our thoughts continue to be with you. I felt devastated when I read the news, and so soon after I joined! Your story touched me so much. My sincere sympathies to those who knew and loved her. And my thanks for stirring me on to a worthy cause. The world needs more like both of you, your courage is awesome and a great inspiration. Words don’t seem adequate, but some beautiful ones have been written. We are thinking of you and Lecretia’s family at this time of unbearable loss. You have both been an inspiration to us all during your harrowing journey together. Lecretia will never be forgotten as we continue her fight for the right to euthanasia in circumstances such as hers. Take care of yourself Matt. You’ll need some of your own time now. We send our love to you and Lecretia’s parents and siblings. Thank you Lecretia, Matt, and fellow supporters. I am freshly inspired through following Lecretia’s story and reading all your potent tributes. Wow… never, ever, underestimate the power of what one person can do! Lecretia, we will all strive to continue your work and we WILL achieve the right to choose assisted death. I have two friends very moved by you and Lecretia, your story and your battle, her beauty and bravery, not only bearing her illness but her tenacity in taking her case to the high court despite being so ill. Neither has access to a computer so asked me to pass on their messages. The second is a beautiful message our friend sent to us when our son in law died last year. She’d like me to send it to you. Kia Kaha, Matt. Our thoughts are with you and your saddness. Just think.She is now helping people in her new life. Wondering how you are doing, Matt. She sure hasn’t gone away in the minds of many, and neither have you.